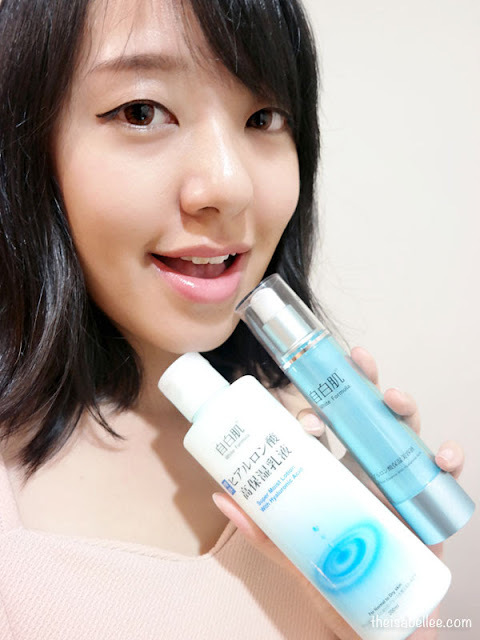 Hyaluronic Acid in skincare is not new but White Formula uses 3 types of patented hyaluronic acid in their Moisturizing Hyaluronic Acid range. They've been featured in TV shows and crowned with several awards too. I'm a sucker for moisturising products so I HAD to try these out. When I saw the name I LOLed because how moisturising could a facial wash possibly be? A certain moisturising facial wash by another brand did not feel moisturising at all. I certainly needed to try this out. 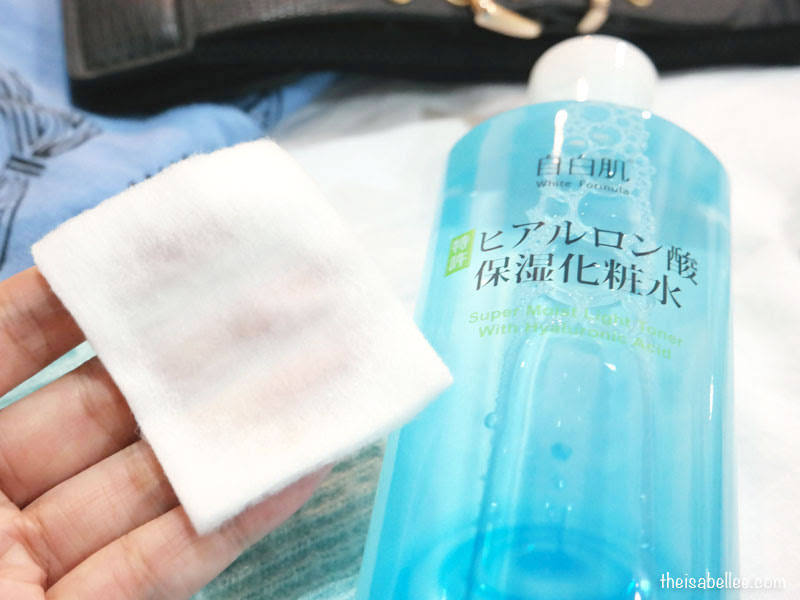 This toner can be used with or without a cotton pad. I prefer with a cotton pad as it removes any dirt that I missed. It refreshes and cools down my skin after a hot day. 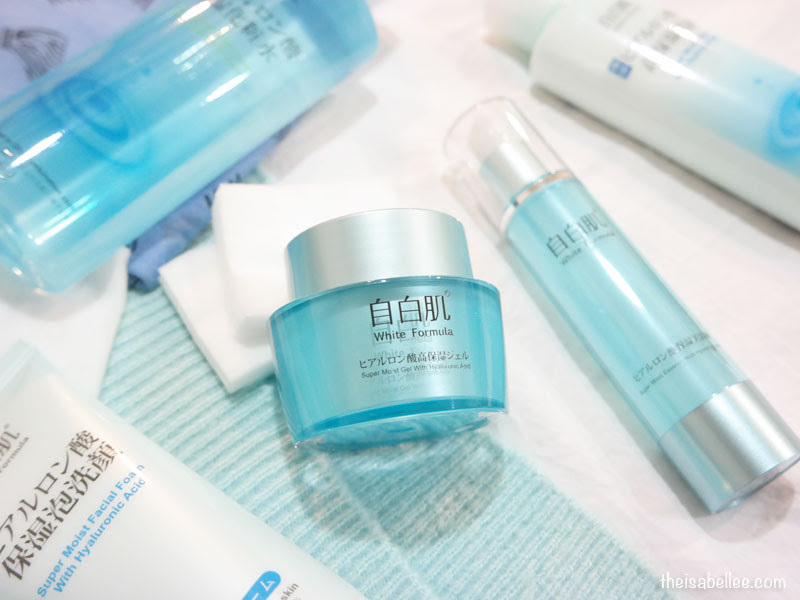 It also stimulates collagen regeneration and comes in another rich version for normal to dry skin. 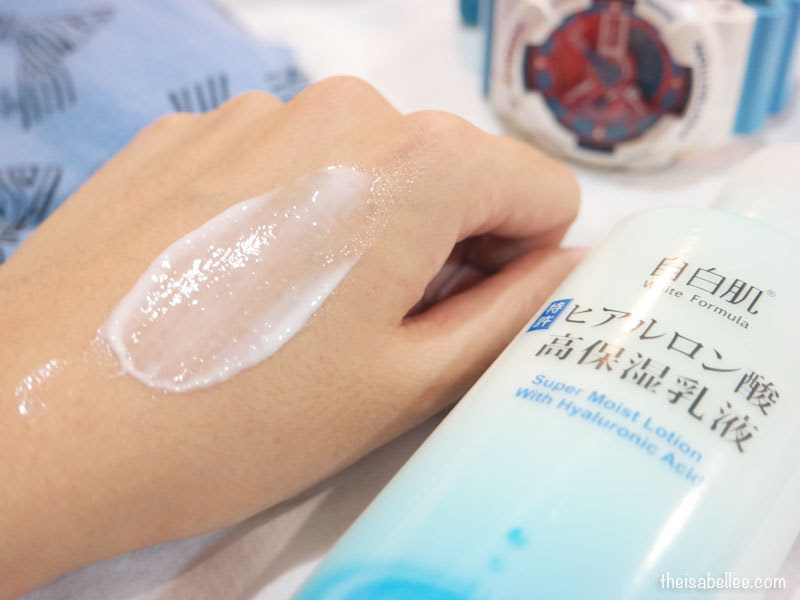 IMO this toner is more of an Asian lotion - it does feel slightly tacky and hydrating. 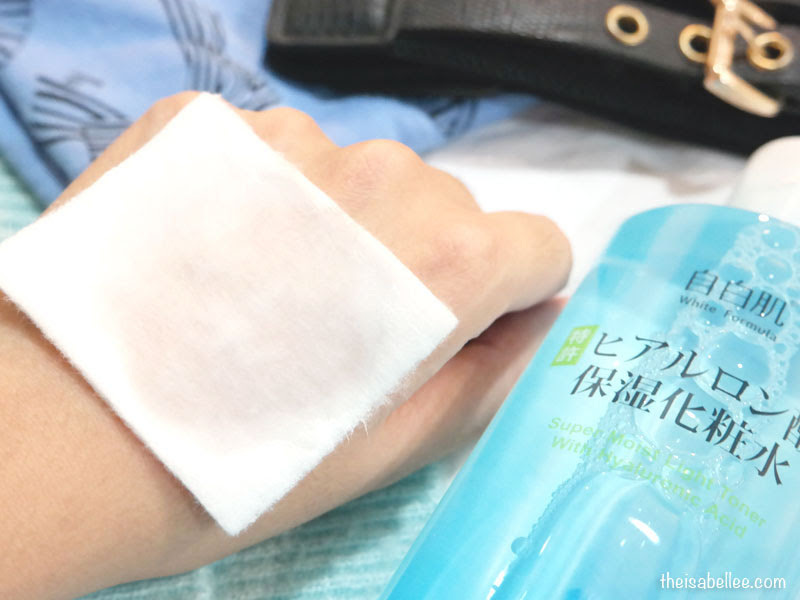 I placed the cotton on my hand while photographing and I swear that specific spot turned fairer! Couldn't capture it in photos though. 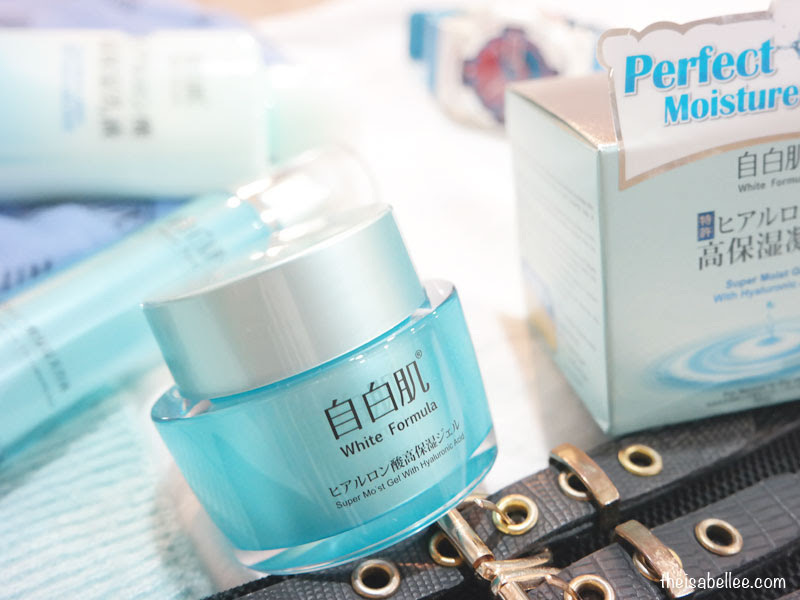 Contains marine collagen which exhibits high water-binding properties and can be easily absorbed by skin to facilitate hydration, replace lost moisture and enhance skin elasticity while stimulating collagen regeneration. Even though it claims to be non-sticky, it does leave a slight tackiness and sheen which may give you bright glowing skin if applied under makeup. Do I recommend this for oily skin? No. 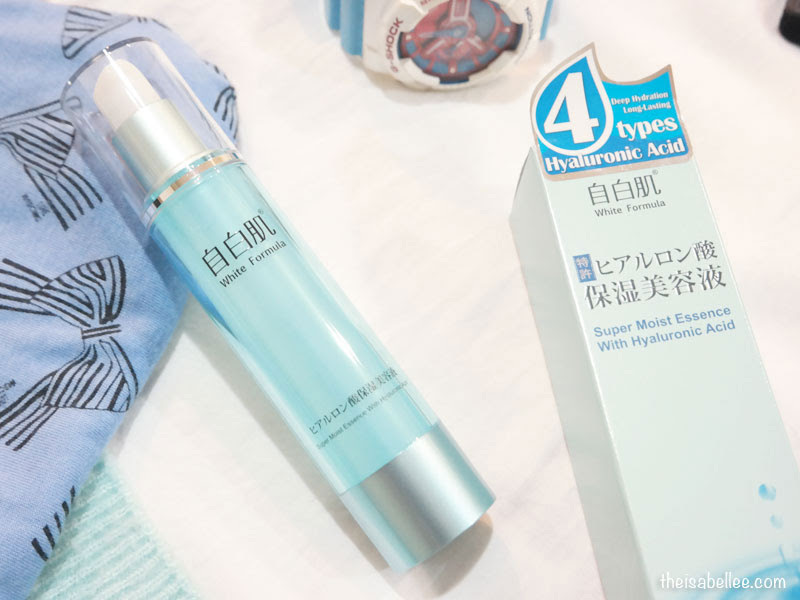 Apart from the 3 patented Hyaluronic Acid, it also contains ceramide and Moist24 for long-lasting moisture up to 24 hours. 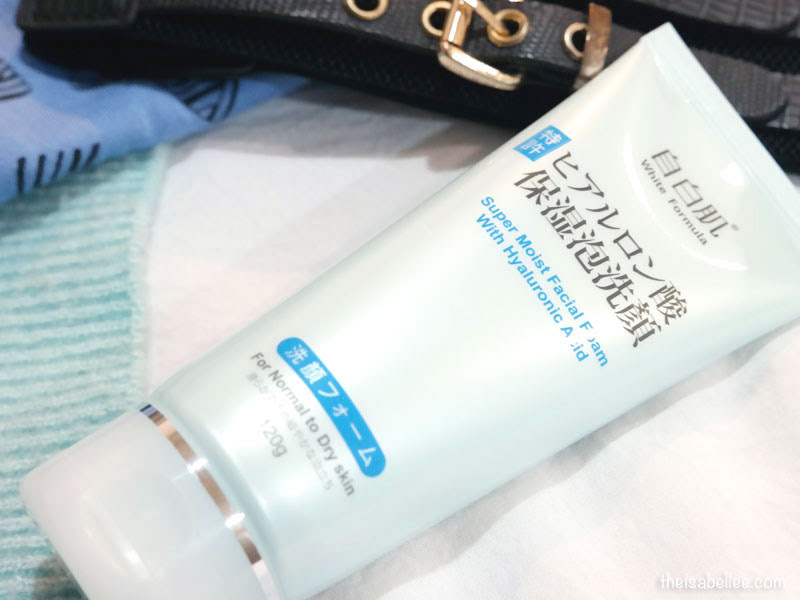 After the toner and lotion which gave me slightly sticky skin, this light gel feels great. Honestly I already felt very adequately hydrated after the lotion which is why I do not really understand why I still need to add on another layer of gel. I guess I'll use a tiny bit of each then. 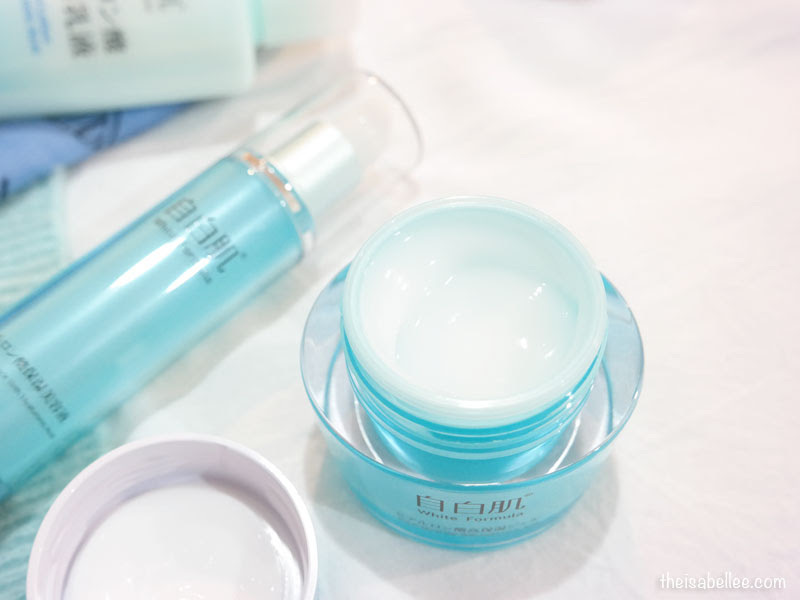 You can also apply a thick layer of the gel as a night mask. 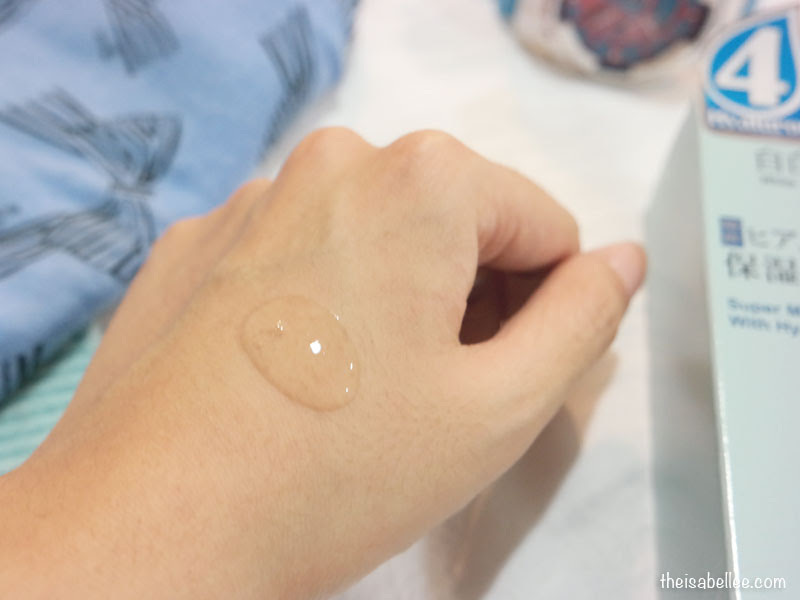 After you're done with the gel, apply 1 pump of the essence for that extra boost of moisture. It's moderately watery but still able to keep its shape. Absorbs pretty well and feels comfortable on skin. Overall, I'm quite pleased with this brand and range. 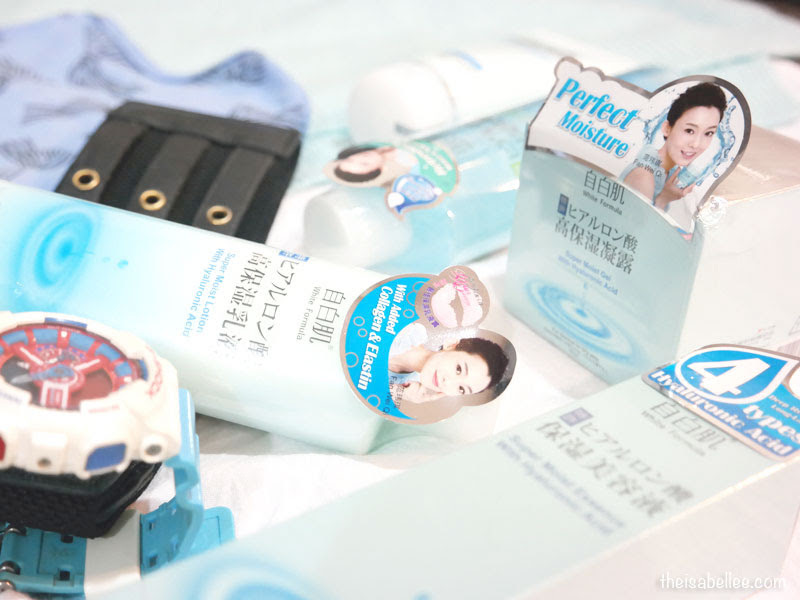 It manages to keep my combinations skin hydrated but also not super oily by midday. 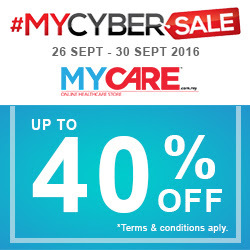 You can purchase White Formula products from mycare.com.my. Wanna get the entire set for free? 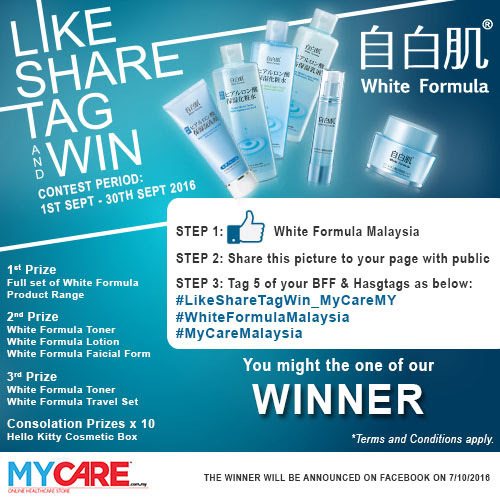 Join the contest on White Formula Malaysia Facebook page!